1) Under-eating is one of the most common reasons I come across. A lot of people simply do not eat enough food to support their body function and metabolism and weight loss is one of the first things to stop. Despite great effort at diet and exercise they get very little results. Every person has a minimum calorie level and once you go below it your body will stop fat burning to conserve energy. This calorie level depends on many factors including your age, height, weight, how busy your days are and how fit you are. 2) Over-exercising is another very common weight loss mistake. Your diet must support your exercise level. If you’re a great exerciser you need to be on a great diet. If your diet isn’t good enough a lot of exercise will actually slow weight loss. This is in effect similar to under-eating because both lead to too little nutrition. 3) Nutritional deficiencies are everywhere and a huge cause of poor weight loss. More and more studies show that many people are borderline with many nutrients and completely deficient in some too. Nutrients like selenium, zinc, magnesium, chromium, vitamin D and vitamin A are crucial for weight loss and very often in short supply. You can be getting a lot of food but very little nutrition. Once you are deficient even in one key nutrient weight loss is severely affected. 4) Water is absolutely critical for weight loss. Without adequate water the fat burning hormones and processes of the body find it very hard to work. Water has also great appetite controlling benefits. Water is as important as diet and exercise to weight loss. Drink 1L per 100lbs you weight and more during exercise. 5) Cardio is often done at the wrong level for weight loss. You need to get good and breathless during your cardio and stay at that level for a good while. Also a good weight loss cardio session needs to be about 40 minutes long to retrain that body to access fat stores and use them for energy. Many people have their cardio sessions too short and just don’t push themselves enough! 6) Toning is more important than cardio for good weight loss. Toning is one of the best ways to get a great metabolism. Outside of the inch loss and firmness good toning drives up the metabolic rate and turns you into a fat burning machine. If you do not tone you will find it very hard to continue your weight loss and keep it off afterwards. 7) Too little carbohydrates are often a reason for poor weight loss. Your body actually needs a certain level of carbohydrates to burn fat and lose real weight. Diets that severely reduce carbohydrates also severely affect brain function, appetite control and motivation levels. We need to reduce carbohydrate levels but certainly not too low. 8) Metabolism problems! These are very common and some of the biggest reasons for poor weight loss. Undiagnosed slow thyroid is a massive weight loss problem even if you have passed a regular blood test. Insulin resistance, a blood sugar control issue is another huge metabolism factor. 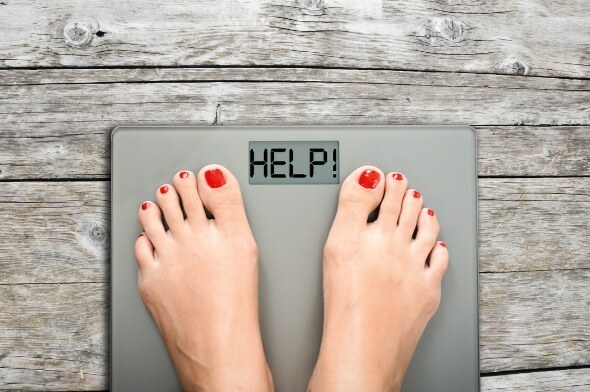 Hormone imbalances, digestive disorders, toxic livers and burnout are other key metabolism problems that are very common and routinely make it hard for people to lose weight. As always I hope you get something useful from this article, please share it with others. Someone making one simple change can lead to big improvements and real results! If you have any questions on anything above please email me at david@system10.ie and I will reply.